Join us Sunday 11/24, from 11:30 to 12:30pm for another educational seminar with Sandy Gregory, M Ed, RVT and Certified Canine Rehabilitation Assistant. The fee for this seminar is $10/dog PLUS one can of dog food, as this is also a food drive for Doggie Protective Services (DPS Rescue). Please bring your friendly furry friend and a mat! 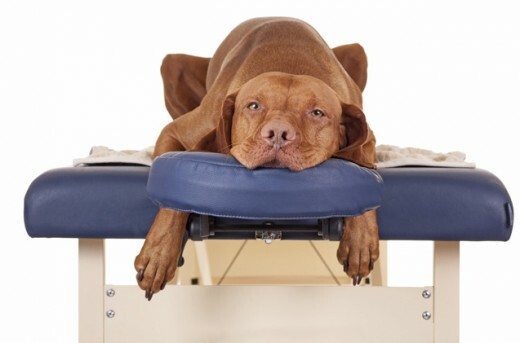 Canine athletes, old dogs, young dogs, arthritic dogs- everyone can benefit from stretching and massage. Just like humans, a dog’s muscles can get overworked and compensate in ways that can be harmful. Learn how to identify some of these problems through feeling muscles and looking at how your dog moves. Learn the correct way to massage your dog so you don’t make issues worse and some stretching that compliments the Pup-lates class. Sandy will guide us through some of the things it will take to help make your dog feel better even though you don’t know there are problems. You will be surprised at what you will find! Sandy has a master’s degree in Exercise Science and currently is a professor at Foothill College in the Veterinary Technology Program. She is a Registered Veterinary Technologist since 2001, certified Animal Rehabilitation Therapist since 2007, Nutritional Advocate through Hills, and a member of the American Academy of Veterinary Nutrition. She has worked at zoos, wildlife facilities and vet clinics from Hawaii to Alaska and still in the Bay Area. Helping to make animals healthier and live longer is what Sandy is passionate about.